A thriving group, Westhoughton Local History Group was formed in June 2005 by local historian Pam Clarke, now counting over 100 members, it is one of the largest, most innovative, and most successful heritage societies in the region. Meetings and workshops are held in Westhoughton Library the first and third Thursdays of every month, from 10am to 12 noon; some 70 people attending to hear talks or update progress on the various projects undertaken including their regular exhibitions, as well as taking part in local history walks, quizzes and trips. The Group's exhibitions have been extremely successful in profiling the town's industrial and social history, and have attracted large audiences, from within the town itself, but also many from much further afield. Its work has had a big impact on Westhoughton, marking the major contributions to the town's rich social, cultural and industrial heritage; notably working on the 100-year Remembrance Events for the Pretoria Disaster (21 December 1910), the Luddites bi-centenary and the 'Burning of Westhoughton Mill' (2012), several exhibitions held at the local library including 'Westhoughton and World War I', Westhoughton Under Siege (Development & Planning), 'Aspects of Howfen'… with a new exhibition 'Westhoughton in the Wake of World War One' launched in November 2018. The group were behind the installation in September 2017 of the 'Westhoughton Historic Timeline', a project breaking down the history of the town across categories of interest with a series of visuals and text. Keen to promote their work they can be relied upon to give talks and slide shows to groups and interested parties. 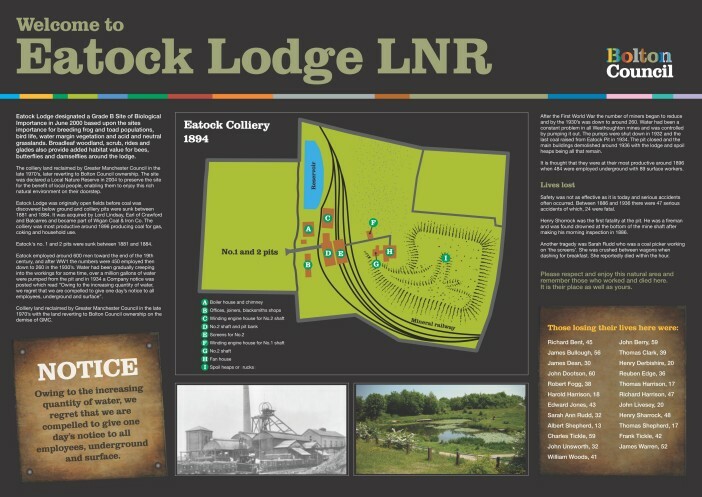 They have supported other groups, such as Senior Solutions, Women of Westhoughton (WOW) and Friends of Eatock Lodge supplying information on local events and past history - at Eatock Lodge Nature Reserve their work contributed to an historic noticeboard commissioned by Bolton Council detailing the life, trials and history of the former Eatock Colliery, now a local leisure destination. The History Group is frequently in attendance at local community events where items such as books, guides and DVDs produced by the group can be purchased, or you can simply ask about local history - all part of its mission to 'Bring Howfen's History to Life'. To stimulate public interest in, and appreciation of the heritage in the area. To provide suitable premises for the display and study of the social and industrial history of the area. To secure the preservation, conservation, development & improvement of features of general public amenity or historical or public interest in the area. To develop tourism in the area through the preservation and promotion of its heritage. To encourage appropriate use of the countryside in the area as part of the heritage framework. To develop a sense of community in the area. Bi-centenary of the Luddite attack on Westhoughton mill (22nd April 2012). 'Town Trail' guide for Westhoughton. We are assisting schools in finding out the heritage of the town. World War One project to record and portray the war from a Westhoughton perspective (2014). Download information/book details. The Development of Westhoughton - 'Westhoughton and the Threat of Siege' (2015) - a look at the growth of the town since the 1950s (2015). Download information sheet. 'Aspects of Howfen' (2017) - exhibition profiling many facets of the town's rich industrial, social, cultural, educational and sporting history. Download information sheet. 'Westhoughton History Timeline 1066 to Present Day - a definitive chronological presentation of key Westhoughton Historical Dates and Events. 'Keawyed Characters' - a series of folio profiles of local people who have served and contributed to the community of Westhoughton. 'Westhoughton in the Wake of World War One'(2018) - marking the 100th anniversary if the Armistice, an expansive exhibition featuring life in the town after the Great War (those who died, those who survived and a town picking up the pieces. For some years, group president Pam Clark (who died in January 2017) cherished the hope that one day the walls of the library could be adorned with a comprehensive 'Town Timeline', profiling in graphic fashion all the key events in Westhoughton's history, which could be viewed in perpetuity by all visitors to the library, and in this respect she especially had the town's schoolchildren in mind. Whilst having conceived the idea, and been responsible for much of the embryonic work, sadly she was destined not to see her vision implemented. Now, however, working in close collaboration with key members of staff at Bolton Library and Museum Services, and aided by a generous grant from Westhoughton Town Council, the Group has brought the project to fruition, the result being a most impressive and colourful graphic display, comprising a series of themed information panels, 4 feet high, and with an overall length spanning 65 feet. One of these panels carries a caption informing that the Timeline is dedicated to the memory of Pam Clarke, a lady whose contribution to the town's history has been incomparable. The official unveiling and dedication of the permanent Timeline feature was an integral part of the 'Aspects of Howfen' exhibition (2017), which also saw the launch of two new WLHG publications linked to the Timeline project. Launched at the Carnegie Hall over the Remembrance Weekend on Saturday and Sunday 10th/11th November, this new History Group exhibition is now set up in Westhoughton Library (upper floor) and will run from Monday, 12th November until the end of year. It is a free exhibition, and with so much to take in is well worth a few visits. Viewable during Library opening hours. A Portrait of the Past - fascinating glimpses of life in the town during the challenging post-war years (from 1918 to the start of the 1926 General Strike) including aspects of industry, employment, religion, education, housing, culture, and sports and leisure-time activities. 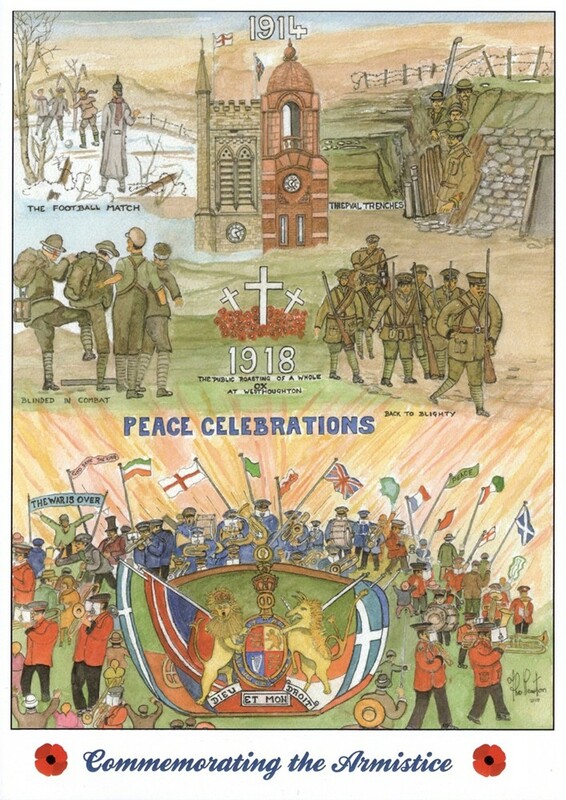 Over a four-year period, innumerable organisations (official and voluntary) throughout the length and breadth of Britain have continuously commemorated the many and diverse aspects and events of the centenary of World War I, from the outbreak of hostilities in August 1914, concluding with the Armistice of November 1918. A fascinating, detailed and immersive journey into the past; an exhibition co-ordinated by the group's vice-chairman, Garth Ratcliffe, but very much a team effort. Well worth a visit or two! Pamela Clarke died 31 Jan 2017 aged 71 after a very brave battle against cancer (Tribute - Bolton News). Westhoughton has lost one of its best-known and much-loved citizens, who has made an incomparable contribution to the life of the town – especially the chronicling of its fascinating history. 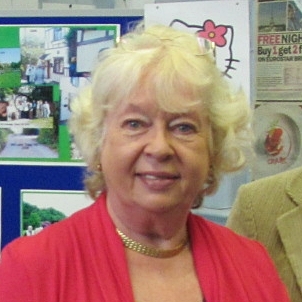 In 2005, Pam was a founder member of Westhoughton Local History Group (WLHG) – latterly its president – and, as leader and principal researcher of the group. Enthusiastic, devoted to her subject. The group has grown to become one of the largest and most vibrant heritage societies in the region, regularly attracting 60–70 people to its fortnightly meetings programme of speakers and presentations, the activities of WLHG also embrace publishing, DVDs, exhibitions, excursions, quizzes and local guided walks. Born and bred Howfener, it was at school that she was inspired to engross herself in local history. For the best part of four decades, Pam Clarke has devoted a huge proportion of her time, talents and energies to researching all aspects of the town’s history, embracing industry, agriculture, transport, education, religion, military, and diverse aspects of Westhoughton’s rich social and cultural heritage. Through WLHG and with the support of her friends and colleges, Pam was able to her work and passion to a much wider audience… From 2010, she authored a series of books published under the WLHG banner - commemorating the centenary of The Pretoria Pit Disaster (2010); The Burning of Westhoughton Mill (2012); The Coal Mines of Westhoughton (2013); The Railway Stations of Westhoughton (2013); and Westhoughton and The Great War (2014). She wrote essays and research notes, gave talks at meetings and in schools; was present at the History stall at Community Fayres… her contributions can be seen in the Library, on the group’s website and her work helped with the production of Andy Smith’s large-scale painting depicting the Pretoria Disaster at Westhoughton Library. There are cards, artefacts, and a series of blue plaques marking sites of historic significance around Westhoughton; a work in progress is an historical timeline chronicling numerous key dates in the town’s history from the 13th century to the present day. Pam Clarke was the 'go to' person for anyone – locally and much further afield – having any questions about Westhoughton’s past. In 2011, Westhoughton Town Council acknowledged her incomparable role in the life of the town by awarding her the Westhoughton Civic Medal. In 2014, she was interviewed by Michael Portillo (in front of the group’s first blue plaque, commemorating the Luddite-inspired Burning of Westhoughton Mill in 1812) for one of his Great Railway Journeys programmes. Pam will be greatly missed within the WCN family, and particularly amongst her friends at Westhoughton Local History Group. He legacy and work will live on; her final project a Westhoughton Historical Timeline - 1066 to Present Day is in the works for installation soon in Westhoughton Library. 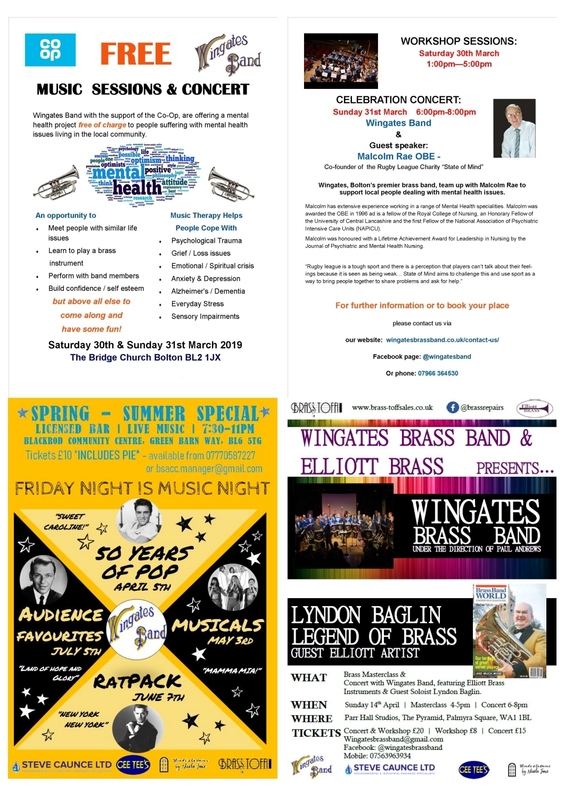 Local film-maker Ted Wisedale has produced a number of videos celebrating Westhoughton and some of the many community events around the town. YouTube Channel or History Group (YouTube videos).